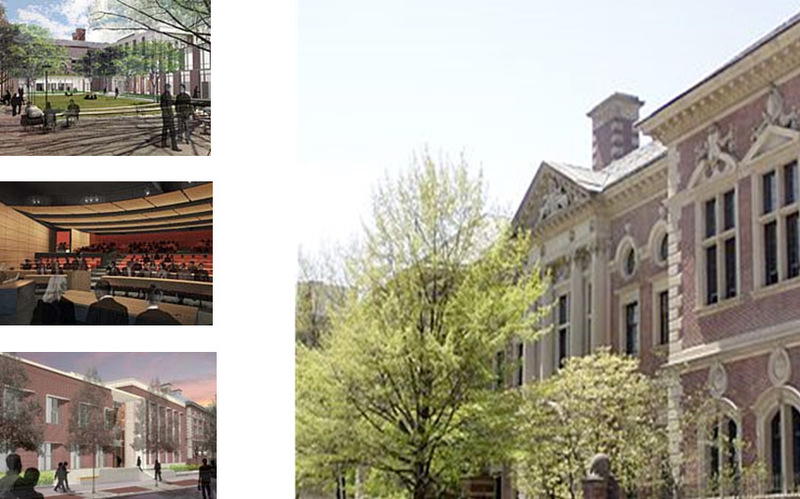 Z&F Consulting provided Fundamental and Enhanced Commissioning Services on a new 100,000 ft2 Law School for University of Pennsylvania. Z&F was responsible for producing the Commissioning Plan, Commissioning Specifications, Inspection and Pre-functional Checklists, leading all commissioning meetings. This project also employed Z&F’s “trademark in the industry” 100% full commissioning services wherein Z&F performed all commissioning activities, thereby saving the Owner up to 30% in commissioning costs by eliminating the “host of subcontractors following the commissioning agent around”. Equipment commissioned included multiple air handlers ranging from 4,000-30,000 CFM with energy recovery, 54 fan powered terminal units, fan coil units, and 25 Hp horizontal split-case pumps.